Professor John Abraham of the University of St. Thomas in Minnesota is a researcher in climate monitoring and renewable energy generation, particularly in Africa, South America and Asia. His opinions on the future of climate monitoring make it likely that what he has to say is very significant for all our futures. Measuring climate change is science based on high-tech engineering. 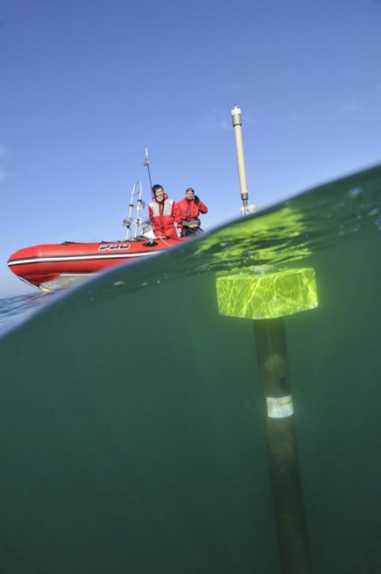 Budget cuts seem likely to reduce the research into new method and also cut our existing network of sensors. They tell us what has happened, is happening and what is most likely to happen next. From the atmospheric temperature rise to the acidification of the sea, from ice thickness and extent to sea levels, we really need to continue to know what is going on. Since the 18th century, we have taken the oceans' temperatures, with gradual increases in the amount of attention we paid! Now we have 3000 "Argo floats" recording both temperature and salinity continuously, but the long term trends can still be disputed. Above us, satellites like the JASON series have been sensing the whole earth for a few years at a time each. The JASONs measure sea-level rise and then make it possible to work out energy absorption by the atmosphere. Replacing them regularly is going to be probably going to incur the crucial financial costs. The TAO (Tropical Atmosphere Ocean) array also needs its 55 moorings replaced as they have drifted and they are now only 50% efficient. John Abraham could tell us about all the other measurements being taken, but he is basically passing on the message that we simply can't afford to stop the programmes that check just what a mess we have produced in the atmosphere and oceans.